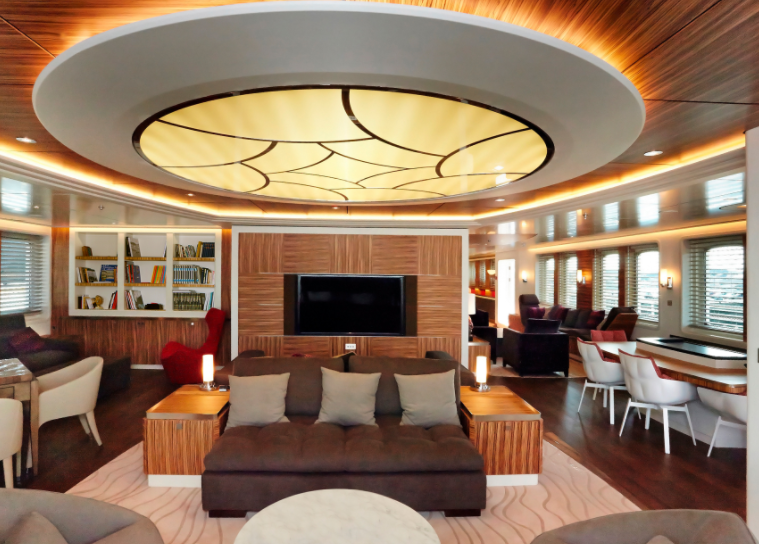 Why Monaco is proud of the newest eco-luxury yacht Yersin? 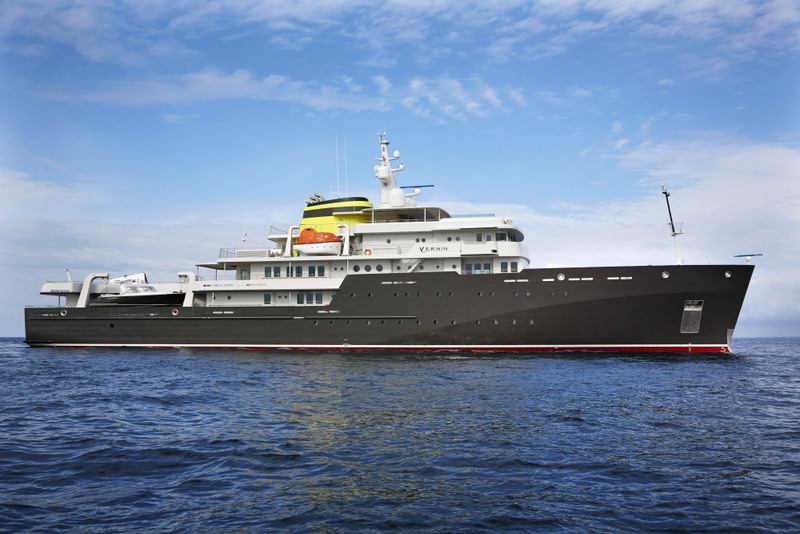 Home/News/Why Monaco is proud of the newest eco-luxury yacht Yersin? The Yersin, a super luxury scientific yacht, designed to explore the oceans of the world under the Monaco flag started with one man’s dream and the will of a sovereign. When he proposed to inaugurate this ship two years ago on the Hercules harbour, Prince Albert II already had in mind the possibility of re-launching large scientific expeditions aboard this extraordinary ship. An idea that materialized last week, with the inauguration of the ship, before it set off on a three-year journey around the globe, with the aim of conducting studies of the underwater world. The owner of the Yersin is Francois Fiat, it’s he who dreamed and built this one-of-a-kind ship. It took him ten years of work to get to this point of departure. The team does not begin this journey by making science an excuse. The themes of the missions were determined by scholars from all over the world and with the encouragement of Prince Albert II. With 35 crew members to operate daily, the Yersin can accommodate about 20 guests, mostly scientists who will conduct the studies. The originality is that this boat will be able to stay in a place. 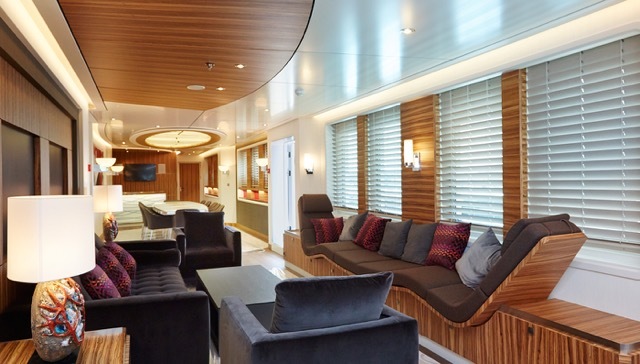 70% of space on the Yersinis is dedicated to technology, 30% to housing and comfort, the opposite of a typical yacht. The technological advances in the miniaturization of equipment are unheard of for an adventure like this one, even for a yacht of generous proportions like Yersin: 76 meters long, for 13 wide, and six stories high. 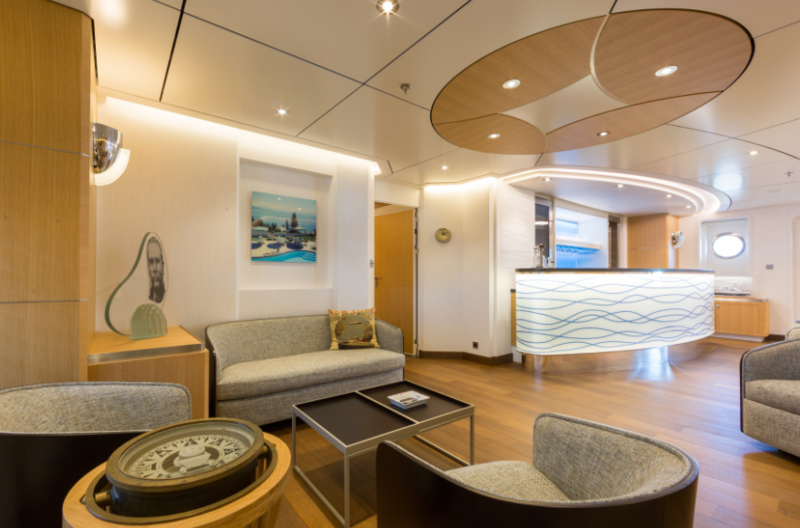 On the technical side, Monaco Telecom has assumed responsibility for the installation of equipment to connect with satellites, so as to guarantee the security and the quality of the ship’s communication. The virtual data, produced on the boat, will be stored on a server in the Principality. In recent weeks, the boat has been tested from the Mediterranean to the Far North to guarantee its all-weather sailing potential, and long-term endurance. The first stage is Madeira, in the Atlantic Ocean, for a project to study the endangered monk seal. This will include mapping the movements of the animal (only about forty still exist) in order to help the work of local researchers. For now, the Yersin can sail for 50 days in total autonomy. The scientific yacht, in fact, was designed to be in keeping with the nature that it will be observing across all the world’s oceans. It is a pride of ship construction. The Yersin is probably one of the only shipping boats in the world that can boast zero emissions. And it starts just by setting foot on it. The bridges consist of recovered resin—no teak on the horizon, the use of wood has been minimized in these places. No cartons and no packaging for the food being delivered. No plastic bottles. This eco-friendly construction continues through the engine room, with an ingenious system of pumps, which filter and purify seawater to make it drinkable and usable for everyday use. Even minute details have been thought of, with the use of cleaning products free from harmful agents when they join the wastewater. These are all filtered before being released. The residues are retained and unloaded during stopovers. For energy, the Yersin relies on an alliance between a fuel propulsion engine and an electrical generator that allows for flexible hybrid power during navigation. In the hold, 350 m3 of fuel guarantees 12,000 miles.